A two man unit started by Mr. B. S. Rajpurohit way back in 1964 has grown up in to a well diversified multi-product company. Mr. B.S. Rajpurohit was born in 1938 in a small village in Rajasthan. His father was a farmer with a modest scale of operation. 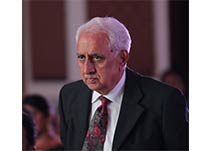 Mr. Rajpurohit completed his schooling in small towns and his B. Sc in 1958 from Jaswant College, Jodhpur. He completed his B.Sc. (Tech.) 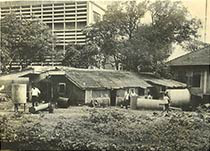 from UDCT (now called UICT), Bombay University, Matunga in 1960, and obtained Post Graduate Diploma in Chemical Engineering from BATTERSEA College of Advanced Technology, London in the year 1961. He started his career as a Senior Chemical Engineer with M/s. Calico Chemicals & Plastics Division, Bombay. With a modest sum of Rs.12000 Mr. Rajpurohit launched his company Chemical Plants and Services in Mumbai in 1964 in a small workshop measuring less than 500 Sq. ft. It is due to his pioneering effort that FRP found acceptance in the Chemical industry in India. In 1967 the company moved into a rented space in the nearby locality. In the year 1970 the name of the company was changed to Chemical Process Equipments Pvt. 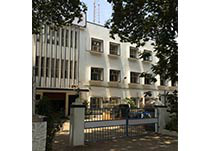 Ltd. (CPE) and moved into its own factory/ office premises. Chemical Process Equipments Pvt. Limited, popularly known as CPE has several “first” and “best” to its credit. CPE today is the undisputed leader in the field of Fiberglass Reinforced Plastics (FRP) fabrication in India and is recognized as major player in the global FRP Equipment manufacturing industry. CPE has received many awards including the TOP EXPORTER AWARD for outstanding export performance in FRP products from the PLEXCONCIL, sponsored by the Ministry of Commerce, Govt. of India. Export of FRP Electrostatic Precipitators, Tanks & Vessels, Gratings, Pipes and Fittings, Ducting etc to USA, Germany, Finland, Spain, Italy, Kuwait, Bahrain, Belgium, Malaysia, Thailand, Indonesia, Taiwan and Australia etc. is positive evidence of customer acceptance of its products world-wide. In the year 2005 it was decided by the management of CPE to separate its GRP/GRE Piping business and hence Chemical Process Piping Pvt. Ltd (CPP) was formed to cater to the fast growing GRP/GRE piping market in the Chemical, Water, Wastewater, Seawater Desalination, Power and Oil industries. Today, CPP is more than 700 members establishment having spacious factories in Vadodara, (Gujarat) and Khalapur (Maharashtra) and serving customers world-wide. The Company specializes in the manufacture of Pipes, Fittings, Stacks , Headers, Launders and Ducting from GRE, FRP / GRP with and without Thermoplastic lining such as PVC, CPVC,PP, PVDF for the chemical and allied industries. 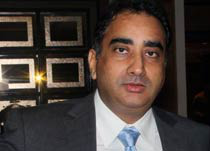 Mr. B. S. Rajpurohit is the Chairman of CPP and the glorious tradition set by him is carried further by the Managing Director Mr.Vijay Rajpurohit.